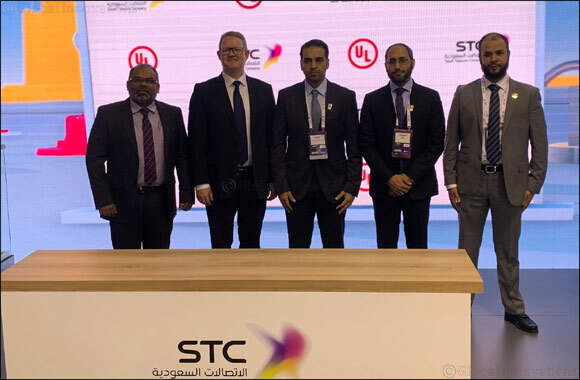 March 11, 2019: UL and Saudi Telecom Company (STC) have announced a Memorandum of Understanding (MoU) to establish a testing facility in Saudi Arabia. The Center of Excellence (CoE) will be set up in Riyadh inside STC labs and will offer testing for various products across the ‘Fiber to the Home’ (FTTH) ecosystem. UL’s wire and cable division signed the MoU with STC at the world’s largest wireless industry event, Mobile World Congress 2019 held in Barcelona. The collaboration is aimed at ensuring a robust network for telecom operators in Saudi Arabia and the GCC countries. UL recognizes the increasing need for KSA’s wire and cable industry to accelerate the ‘time to market’ for products and to meet the challenges of the growing complexity of global technological and business environment. With the support from UL’s engineering expertise, this new facility in Saudi Arabia will help all critical stakeholders along the global supply chain to design, manufacture, specify and procure compliant products in the marketplace. Steven A. Galan, director of UL’s Wire and Cable division, said: “We are collaborating with STC to provide our testing services locally here in Saudi Arabia with a view to shortening the turnaround time for submitting samples, testing and certification. The first of its kind testing facility in the MEA region will provide testing services for Fiber Optic Cabinets (FAT and Joint Closures, Wall Boxes, FDT, Splitters), Fiber Optic Cables (Indoor and Outdoor), and Mechanical Civil items (ducts, plastic and metallic spacers, hand-hole and man-hole, covers and frames). The collaboration comes at a crucial time with KSA’s Minister of Communications and Information Technology Abdullah Al-Sawaha announcing plans of becoming one of the first countries to launch the fifth generation mobile network (5G). Hamid Syed, vice president and general manager for UL in the Middle East said, said: “KSA’s ICT sector is going through a rapid transformation as part of the Kingdom’s Vision 2030 and will see a flurry of devices entering the market in the race to provide the necessary infrastructure. “Through this testing facility, we will be able to support the Kingdom’s digital transformation by ensuring only compliant products enter the marketplace”. The MoU between UL and STC marks a milestone for cooperation between both companies in testing and certification and growth of the industrial sector of Saudi Arabia. Bader A. Allhieb, vice president of operations at STC, said: “We are delighted to collaborate with a globally renowned industry leader such as UL, whose mission and expertise perfectly complement our goal to transform the telecom industry in KSA and the region.